December was the last month of a busy 2017 at Avonbrook Stud and it seemed appropriate that we should take a slight break from the usual madness of competing and training, our hand somewhat forced by the large amount of snowfall we received near the beginning of the month. Despite the lull in activity, I was particularly pleased to come home from university for the Christmas holidays just in time for mum’s birthday, and be able to spend time with my family and friends back at home. Although December wasn’t as jam-packed full of action as previous months, I still managed to occupy my free time by working at my trainer’s yard where I learnt so much more than I realised was possible and I also spent time with my sister in Cardiff on Christmas Eve watching a Lucie Jones concert. On the train home from university, I had the time to reflect on the past year and how much I, and the Arabians at Avonbrook Stud, had accomplished. Odin had made the step up to 110cm showjumping classes, his first being at Hickstead no less, and he’s now fully established at this height and ready to climb up to 120cm and 130cm classes. He also fulfilled my ambition of qualifying for the National Schools Equestrian Association (NSEA) Championships at 115cm, where he finished in the top 20 of the best young riders in the country. 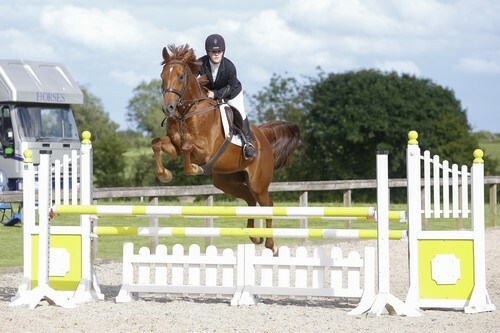 Prince also began jumping 110cm classes and qualified for the NSEA Championship Plate, as well as schooling over Novice (110cm) cross country fences without any difficulty. Penny made her ridden showing debut and finished her season at the Ridden Arabian Star Series (RASS) finals, where she performed beautifully despite her lack of experience. Marcus qualified for multiple NSEA Championship Plate classes and completed his first event in over eight years. Amongst the successes of the horses, I sat my A-level exams and was accepted into my first choice university, the University of Birmingham. 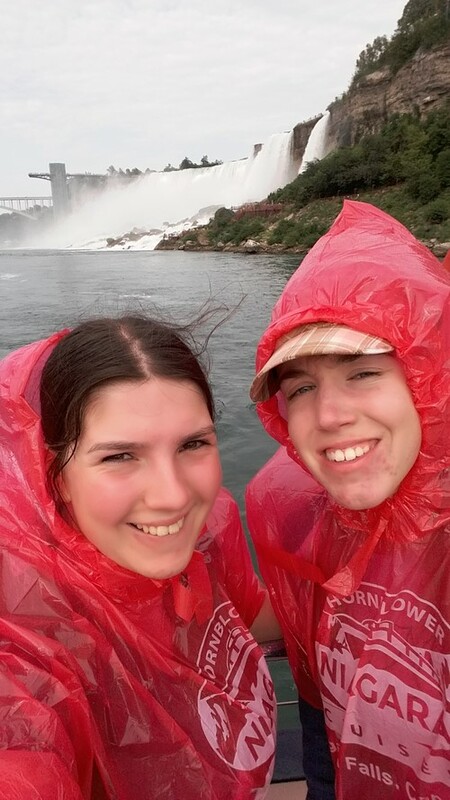 I also flew alone in an aeroplane for the first time to visit my best friend in Canada during the summer, and passed my driving test first time, less than a week after arriving back in the country and only a few days before starting university. I can only assume the jetlag helped my driving as I was unable to maintain the nerves that usually accompany the novel situations that I find myself in! As well as all of the new experiences I faced in 2017, I continued to train with Erica Watson for a second year which I hope to maintain for many years to come. I continue to map out the forthcoming season with military precision with the help of the stunning wall planner that arrived with the Arab Horse Society Yearbook. 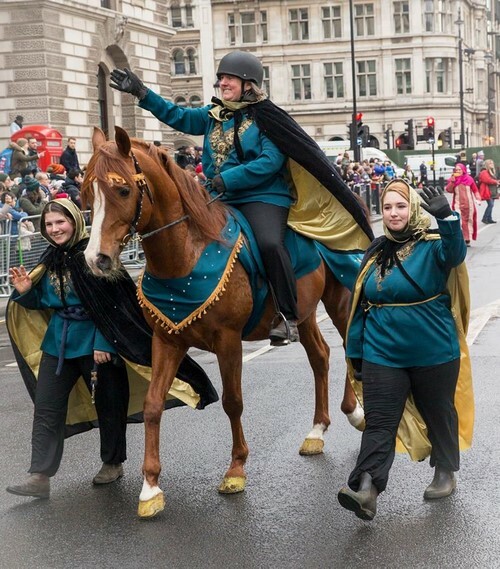 Last year also saw the start of my official monetary support courtesy of www.crabbet-heritage.com who generously sponsored the cost of my new CWD 2GS saddle that has not only revolutionised my riding, but also the horses way of going, due to its innovative technology. This saddle has already saved me numerous times when jumping the naturally very scopey Penny and truly is a saddle of a lifetime. As all of our Arabians are Crabbet or Crabbet related, I certainly feel their performance in open competition reflects on Crabbet Arabians and the Arabian breed as a whole. I have often been approached at competitions, singled out as the only with a pure-bred Arabian or one of a few with a part bred, and the chance to talk to people about the performance ability of this breed is something I have taken very much to heart. I feel very proud of the Avonbroook Arabians, my ‘jumping Arabians’, for showing the world what they’re capable of, be it at Hickstead, the NSEA Championships, or the qualifiers around the country that took us there, and for changing the minds of anyone who said “But Arabians can’t jump!”. One day I hope to be jumping at the highest level with a horse whose pedigree goes back to Marcus Aurelius, with its tail held in the air as a flag and the commentators remarking on its Arabian blood. Finally, I would like to thank everyone involved in my incredible and incredibly busy 2017 season. From the show organisers for giving us somewhere to go, to my family and friends both old and new for their support and especially to mum for carting me up and down the country. To my sister Becky and my friend Jazz Hemming for filming and photographing me for analysis or for fun, and my trainer Erica for making me a better rider, horsewoman, and person for everything I’ve learnt. Many thanks also to Samantha Mattocks for giving me a place to share my monthly adventures but most of all, thank you to the horses of Avonbrook Stud for showing me and the world exactly what an Arabian is capable of. ‘The Girl with the Jumping Arabians’ indeed. 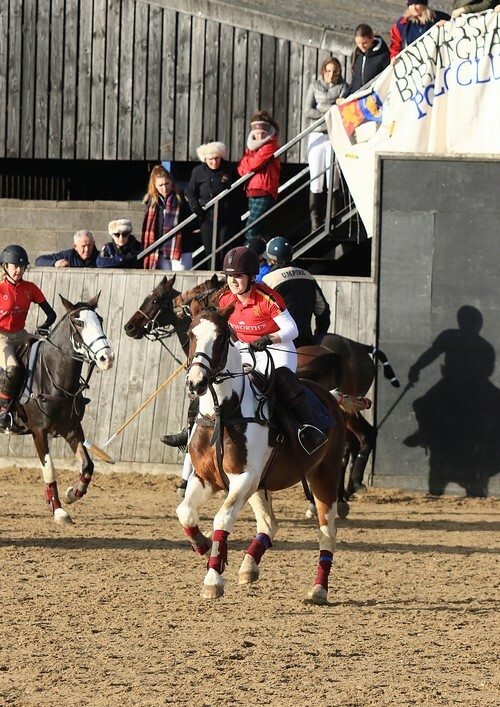 Katherine Bertram is an English young rider who competes in a variety of different disciplines on her mother’s homebred pure and part-bred Arabians. 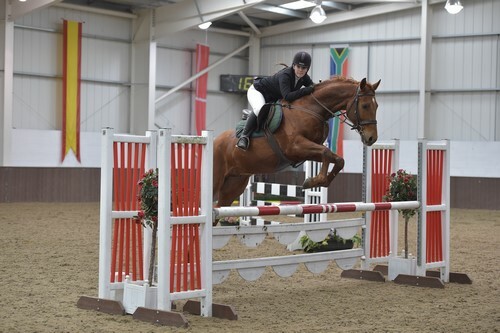 Having achieved advanced rider status in Endurance after her first season at age 14 on Marcus Aurelius (Aurelian x Fiesta Magica), Katherine turned her attention to showjumping with his progeny, at which she currently competes at Senior Newcomers (1.10). 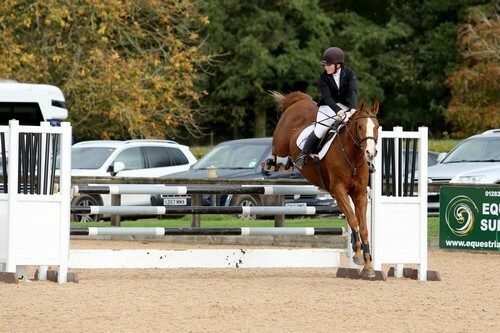 As well as also delving into showing, eventing and, occasionally, dressage, Katherine juggles her studies while attending the University of Birmingham. 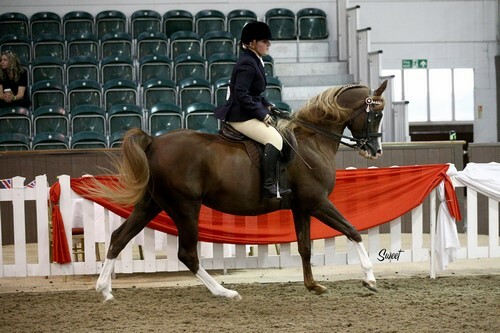 Katherine Bertram is an English young rider who competes in a variety of different disciplines on her mother's homebred pure and part-bred Arabians. 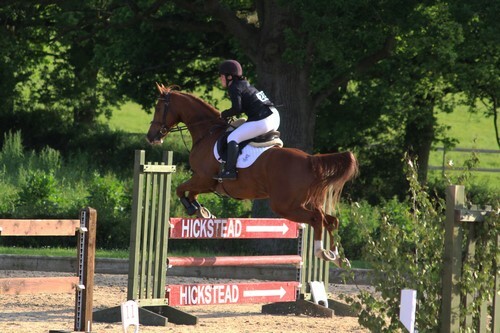 Having achieved advanced rider status in Endurance after her first season at age 14 on Marcus Aurelius (Aurelian x Fiesta Magica), Katherine turned her attention to showjumping with his progeny, at which she currently competes at Senior Newcomers (1.10). As well as also delving into showing, eventing and, occasionally, dressage, Katherine juggles her studies while attending the University of Birmingham.